I saw many people doing this but it wasn’t will the other day when Brent did it that I was motivated to redraw an old piece. I’m glad I did it, because here you can see all the days with lack of sleep, all the days saying my friends I preferred to stay at home working, my interest on learning from many different artists, the headaches those days struggling or my fights against distractions…THIS IS NOT TALENT, THIS IS HARD WORK. I have to say I spent more time on the new one, but, last year was not a matter of time, I knew almost nothing about anatomy, light and color, design, etc. I still have to improve a lot so, keep the hard work!! A few car designs inspired by a sketch Scott Robertson posted the other day on Facebook. It’s been 3 weeks since I said I was going to start working on a personal project to reinforce my design skills, get ready for FZD and feel it like a real job in some way. But I failed, I’d like to say now everything was right but it wasn’t, I have to learn from this failure and repeat it again in the future because is something I recommend to anybody. 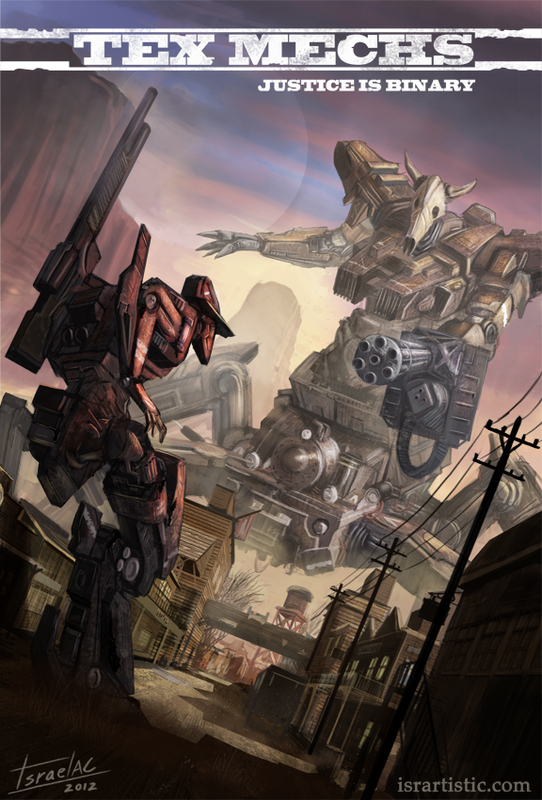 I painted this illustration just as “teaser” of something that I hope gets bigger with time. Now I can explain what was the idea, in the 3 weeks, I was goinn to work on a project with a script part written by me and part written by a friend who was going to act as a client. There were deadlines, revisions, etc. 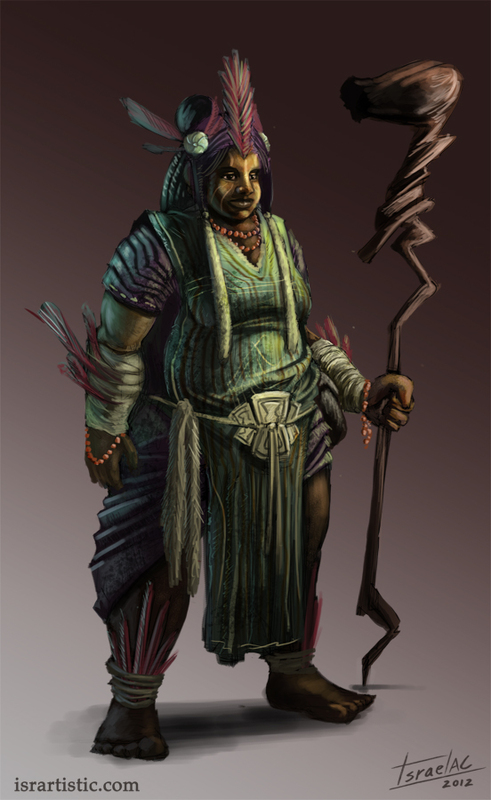 And the part of the script I wrote was to set up a story with elements I would not be comfortable with because of the lack of experience but I was interested in. The point is I wanted it to be like a bloodsports challenge, something where I not only practice, but also study new stuff. So the first week was going to be full of study and the other 2 designing and doing a few more studies if required. The first week was right, live streaming only 1 hour a day I had a lot of time to keep focused studying. 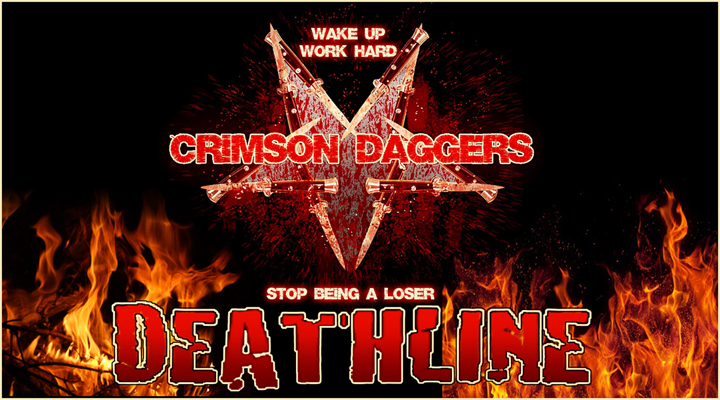 It’s been 3 months since I started my deathline and almost 4 months since I joined Crimson Daggers. I’d need a whole new post to explain how happy I am being part of this group, and how much it helped me and hopefully I could help others. But I’m going to talk about the detahline this time because after 3 months a few things changed. For those who didn’t see it, here is my original deathline. I’m glad to say I’ve been following the point 3 as planned and trust me, my body missed a lot doing some exercise, I feel much better now and I’ll keep doing. On the other hand, the hard work related to the next other 2 points, made me have 3 times a couple of days sick in the last 5 weeks. The lack of sleep and an irregular diet made me feel very weak from time to time. And I totally hate being on bed because I want to keep being productive. I’m also going to have less coffee, it wasn’t working on me recently and I was feeling even more tired after having it. About the 1st point, I had no idea what I was talking about with studies, so I was doing meaningless studies for two months, without applying them, so at the end, they didn’t help me to improve and I only got a nice gallery of well painted copies. In the last month there were days I didn’t do any study if not required, but all the studies I did (or most of them) were applied on speedies, illustrations, etc making me feel I improved more in this month than the previous two. There’s another thing, at the beginning I related streaming to doing studies but not anymore. At some point someone suggested me to show also personal stuff, would make the channel more interesting and that’s what I’ve been doing. And I’ve been waiting every week till Sunday to compile all the studies in a “studies of the week” sheet, but from now I will post them as soon as I can. About the livestream, I have to say I’m impressed how I’ve been able to stream every single day for several hours and how much I enjoyed it and helped me to keep working. 1. 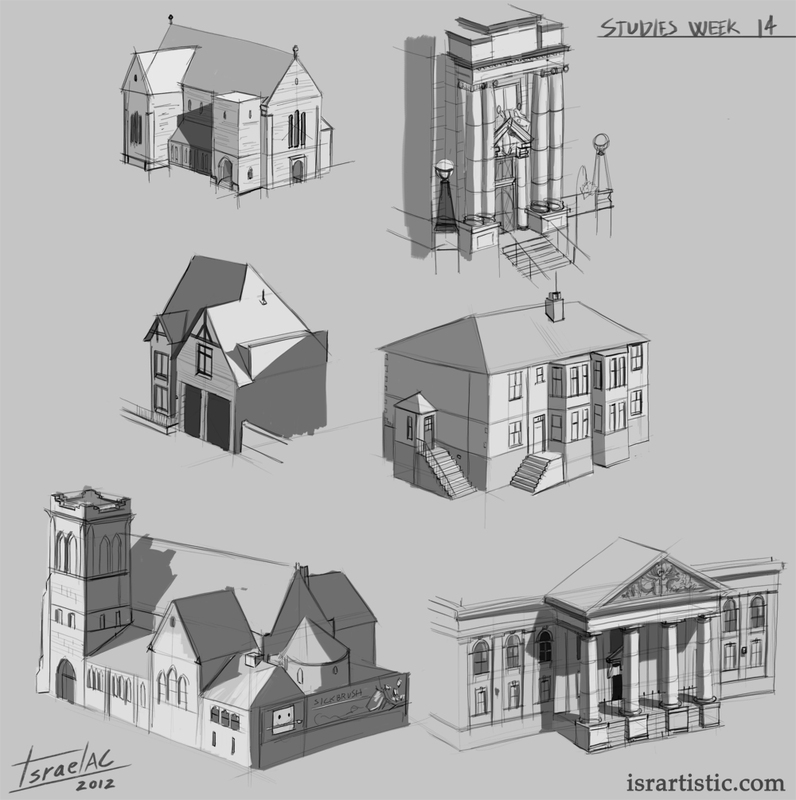 Do studies every week, apply them and post them. The second point is more complex, it’s about building the portfolio and getting a job and it will take time. It’s true though, so many people asked me if I work now. I’ve been for a year without a job, since I decided to take digital painting as a serious professional option. I didn’t even try to get one since I’m trying to get better and better because I compare my work to other professionals and it’s not good enough. But there’s already a date when I will start looking for a job no matter my level: August. In one month I’m going to Singapore to study at FZD school for 6 weeks (Actually I was going to go on April, and I planned it on January, but a few issues made me re-schedule that journey) and after that all my savings will be gone, so money needed, job needed. Till then, keep working hard and try to get better, if something taught me the Crimson Daggers is you can do this by yourself if you work really hard. 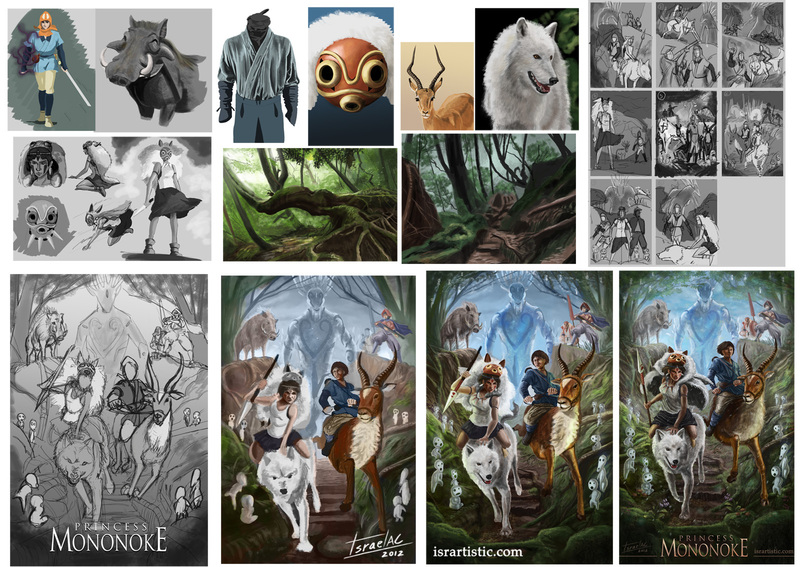 In this 3 months I replaced 7 pieces in my portfolio with better works. 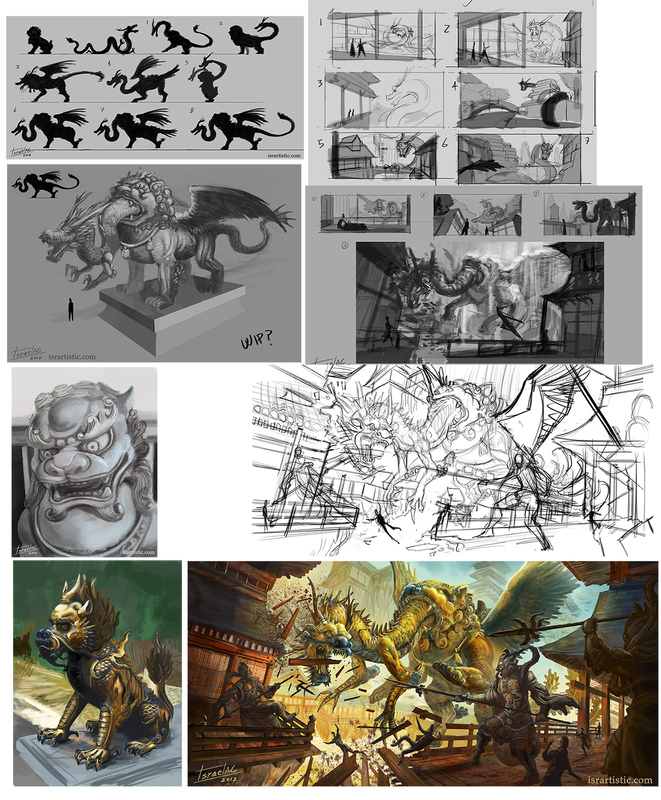 By August and specially after been to FZD school my portfolio shouldn’t have any work from last year. I’ll write another post like this in 3 months, still not sure how my trip to Singapore will affect the livestreams or blog updates (I want to keep doing them) but the hard work won’t change at all. 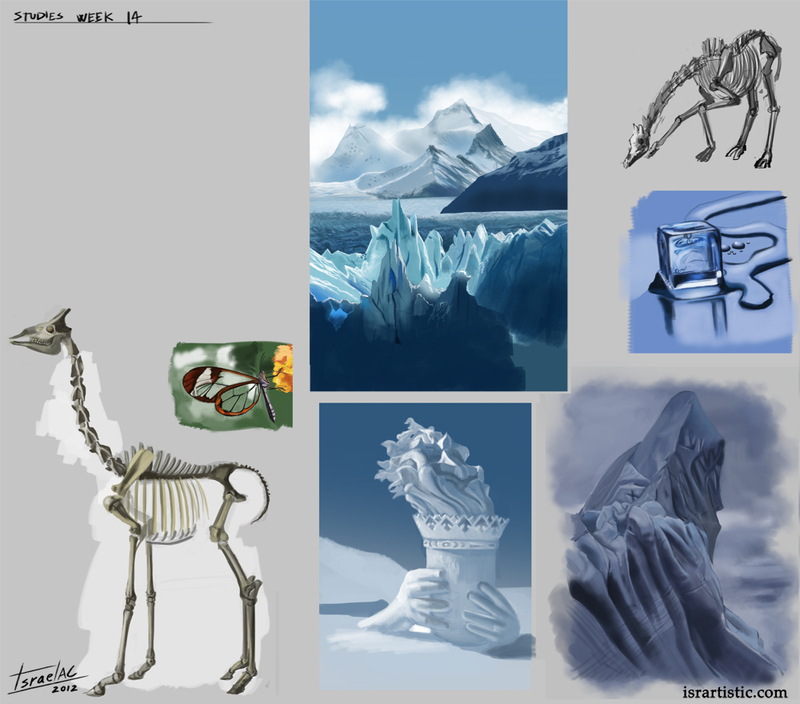 And after all this long text (sorry if it was boring) some studies I painted on my livestream and designs. This last one requires an explanation. I was painting the study on my livestream when another Dagger (Chilingo) jumped in my channel and told me “I like it, but can you make it yours?” So I added a big pink monster. 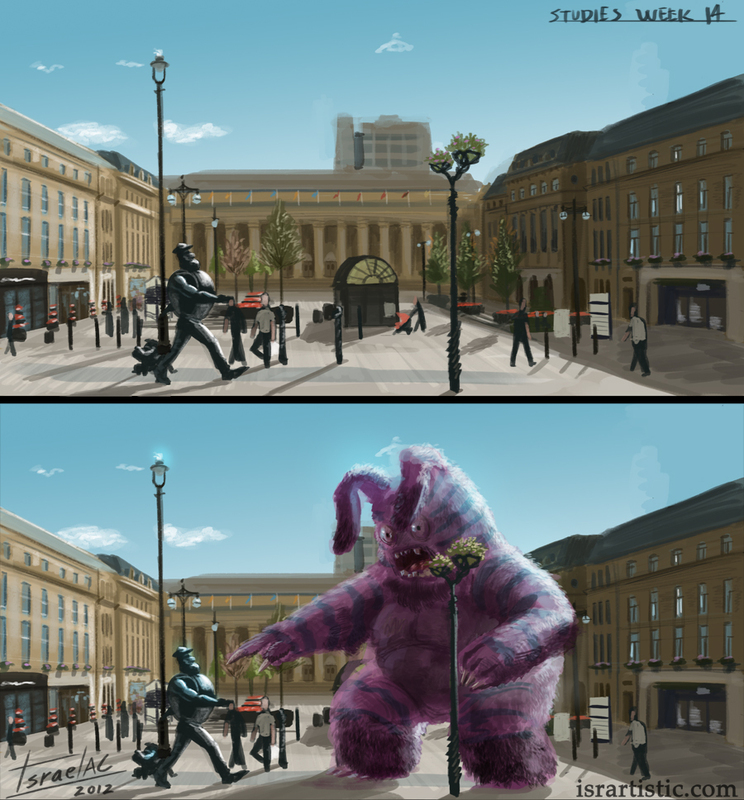 The bloodsports challenge #5 was about redesign one of the top miyazaki films. 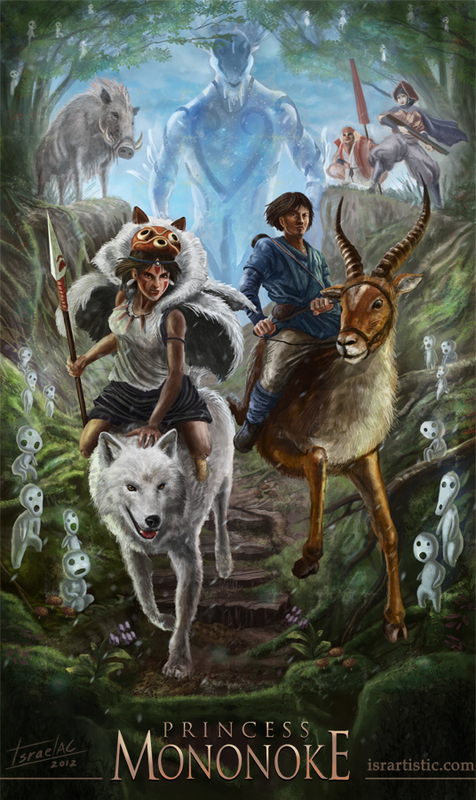 I started working on an illustration based on Princess Mononoke (one of my favs) but didn’t have much time so I didn’t finish it. After a while I got back to it and with a few days working on it I finally finished it. As for any other bloodsports challenge I made an image with the making of. 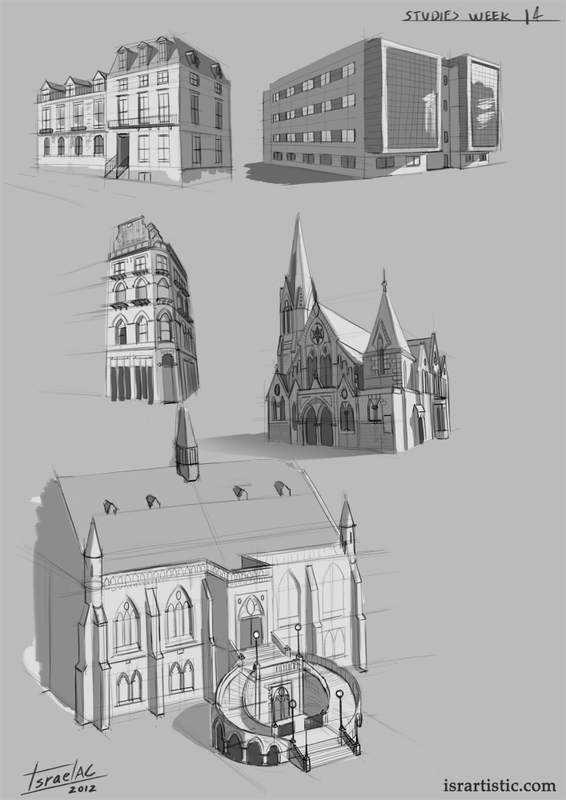 And these are the studies from the previous week, only a few this time, pretty bad. The thing is that now I try to relate the studies to the paintings I work on, but last week was mostly refining old pieces. 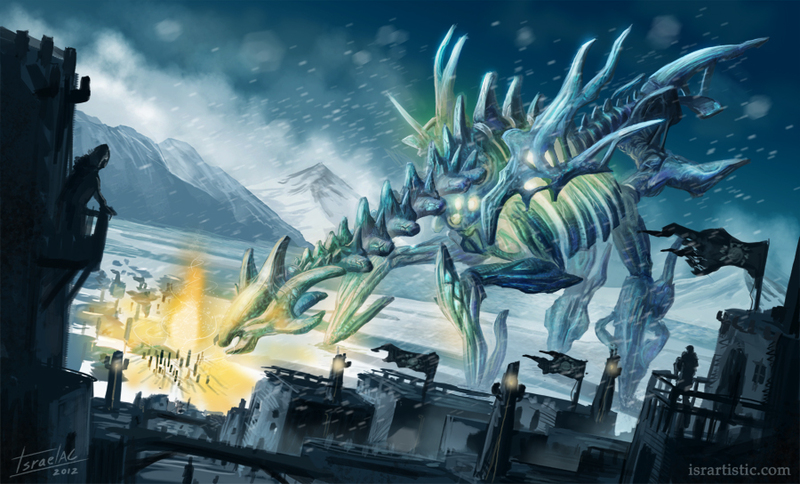 These studies were for the creatures designs. I submitted my entries for those challenges but I wanted to spend a bit more time before including them in my portfolio. Now I’m done with them.